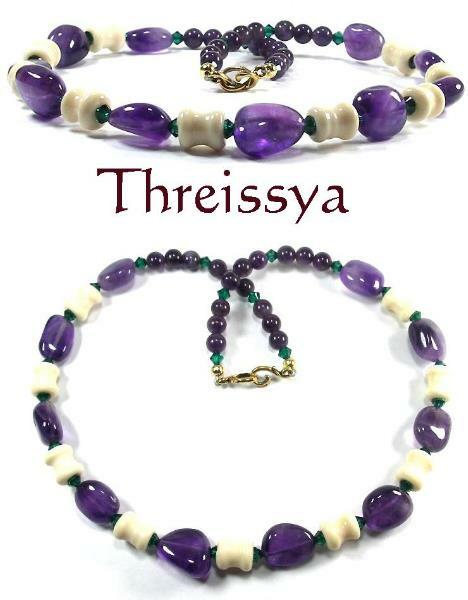 The richness of amethyst beads is accented by small emerald Swarovski crystals, teamed up with beautiful ivory glass lampwork beads in a tactile curved roller shape. Measuring approximately 45cm/17.5 inches, this necklace will suit a range of styles. Custom earrings available on request.